Food allergies and intolerances have a significant impact on daily life because menus must be carefully planned, food labels diligently read, and teachers alerted. Dr. Lynne R. Mielke and Sandi Kreizenbeck, DNP, at Optimal Health Spectrums in Pleasanton, California, understand the challenges. They’re available to help children and adults identify the offending foods and heal their bodies. Please contact the office if you notice any symptoms, so they can identify the cause of your reaction and get you started on the path to wellness. 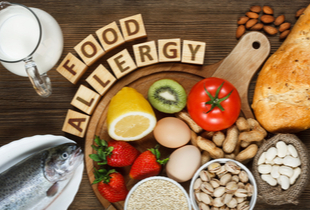 Food allergies begin when your immune system mistakenly identifies a protein found in food as a threat to your health. Then an antibody is created that recognizes the protein and sends out an alert every time it enters the bloodstream. As a result, histamines are released to help fight the allergen. These histamines subsequently cause the symptoms associated with food allergies. Symptoms occur within minutes to several hours after eating the offending food. Though everyone may have the same symptoms, the severity of each person’s reaction is different, ranging from mild to severe. What are the most common types of food allergies? Allergies commonly develop during childhood, although they may not appear until you’re an adult. You can develop an allergy to any type of food, but peanuts are the most common cause and only eight types of food are responsible for 90% of all allergies. The eight types of food are: peanuts, tree nuts, eggs, milk, wheat, fish, shellfish, and soy. A food intolerance is a delayed inflammatory immune response to common foods. An intolerance can cause a few symptoms that are similar to a food allergy -- nausea, stomach pain, cramps, and diarrhea -- otherwise, the two are different. Food allergies can cause a life-threatening allergic reaction. Food intolerances can make you miserable and affect the quality of life, but they’re not fatal. Food intolerances cause systemic problems such as joint pain, fatigue, irritability, and brain fog. They may also show up as behavior problems in children. Intolerance reactions are often delayed, appearing hours or days after eating the offending food, making them difficult to identify. However, a simple blood test determines your intolerances, helping to guide you in what foods to avoid. To learn more about food allergies and intolerances, click here.